Happy Hooves Riding Centre, based just outside Penrith in Cumbria, is holding a special event to mark Disabled Access Day. As an Accessibility Mark accredited centre, Happy Hooves will be offering ride and groom sessions at a reduced rate of £15 and half hour hacks for just £10. Happy Hooves is also the proud owner of the only mechanical horse in Cumbria. Mr Williams will be available throughout the event enabling people to experience what riding a horse feels like without the apprehension of riding a real horse. 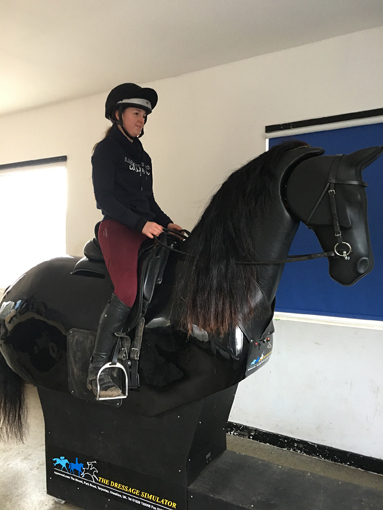 There are many advantages to riding a horse simulator for anyone learning to ride but there are particular benefits for disabled riders, providing a safe and controlled way for riders to gain confidence. The sessions on Mr Williams will be free of charge. The event will start at 10 am and run until 2pm, with booking essential by contacting Happy Hooves by telephone on 01768 862153. Light refreshments will be available and any advance bookings made on the day will receive a 10% discount.